It’s a new year, which means new Hondas! Henley Honda is introducing a new fleet of Hondas that will be known for their performance, efficiency, and versatility. Honda has not gone unnoticed for being one of the most trusted names in the automobile industry. They have earned the ‘Best Buy Award Winner 2018’ through all-new 2018 models available to purchase. The winners are selected for the ‘Best Buy Awards’, through a process by Consumer Guide. Consumer Guide test drove over 150 vehicles a year to decide on the top model in each class. Honda came out on top by winning in the categories of Best Midsize Car, Best Compact Pickup, Best Midsize Crossover, Best Compact Car and Best Compact Crossover. Introducing Henley Honda’s 2018 Best Buy Award Winner Fleet Line up! 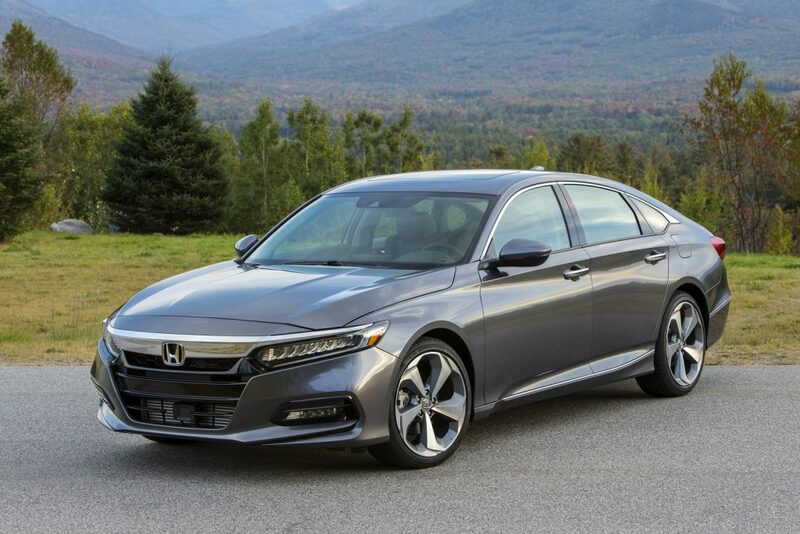 The 2018 Honda Accord had captured the winning title of 2018 Best Midsize Car. The new and improved Honda Accord is able to enhance on key features such as including two new turbocharged engines options and offers the Honda Sensing intelligent suited for safety and driver-assistive technologies. The new Honda Accord is able to provide more power under the hood, while still providing safety as well. The 2018 Honda Ridgeline has been awarded the title of Best Compact Pickup for 2018. The Honda Ridgeline is a compact, efficient and powerful pickup truck, which offers 280-hp, a V6 engine in FWD and AWD that are available with multiple driving models. Consumer Guide has awarded the 2018 Honda Pilot with the Best Midsize Crossover, with praise for the family-friendly environments complemented by high-end finishings. The Honda Pilot is a family-friendly and high-tech crossover SUV that is able to seat eight passengers and comes equipped with Honda Satellite-Linked Navigation systems, and more. The Honda Pilot is the ideal car for the on-the-go family lifestyle. The Honda Civic has received the Best Compact Car of 2018! The Honda Civic is known as Canada’s most popular and most reliable compact car, with millions sold in Canada. Civic lovers describe it as a fun and efficient car that offers multiple configurations and features to best suit you. The Honda Civic is able to be offered in a: Coupe, Sedan, Hatchback, performance model and Si. The final winner within the Honda fleet is the Best Subcompact Crossover: the Honda HR-V. The Honda HR-V offers drivers a convenient and spacious interior with a high-tech and sporty features while being able to add multiple trim levels throughout the crossover. Henley Honda is excited to announce the new line-up for 2018. Contact Henley Honda for more information and to book your test drive today with us today!